I liked the repair guy - kind of dry humor, and quick and to the point with our repair. He didn't castigate me for a nasty messy electrical circuit issue either. He figured out my electrical box in no time, had the electrical off on the fridge, and had the new icemaker working GREAT. Back on with the electrical and gone in 20 minutes. Nate was on-time, used his time well, appeared to know what had to be done, and did it. Only your guy had the right equipment to figure out what was wrong and show it was really fixed. He was very friendly and explained things as he went along. He also fixed the door when he noticed my husband and not reversed it correctly. Josh was very helpful, told him what was wrong and he explained to me what parts we need and to put the frig. on a different outlet. parts came in and came and put them in the next day. Josh showed up on time. Diagnosed the problem right away. Fixed it. Tested it and was on his way. The Who process was very efficient and customer friendly. I explained the oven problem over the phone and gave the serial and model numbers. They notified me the night before of the time frame, and called when the technician was on the way. Ryan arrived on time with the needed control panel part in hand. Ryan was very efficient and professional, and installed it quickly. He was personable and friendly, and explained what he was doing and the cost. 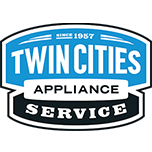 I used Twin Cities Appliance to repair a dishwasher before, and that was excellent service too. ELEC DRYER WHIRLPOOL GEW9250PW0 "Found drum roller causing loud clunking installed wpw10314173. When I started the repair for the roller everything was pretty brittle I advised customer that there is a possibility with something else breaking during repair due to age etc. ribbon wire ripped causing control to not work order WP8558753 control at souix falls customer scheduled for Monday roller already installed 16.10 labor 85.90 call 97.95 control 291.90 ship 12.00 total 527.93 customer paid in full by check ; ordrng 1 WP8558753 (cntrl-elec), used 1 Ship (Shipping/Handling), and 1 WPW10314173 (DRUM ROLLER) from stock"
COOKTOP JENN-AIR JED3430WF01 "Front left element no longer working. Switch feels fine and is closing for the cooktop on light. Will need new element and xtra time for downdraft. Will order switch as well, in case there is an issue once unit is pulled out. Morning appointment preferred. ; ordrng 1 WPW10178022 (elmnt-surf) and 1 WPW10234425 (switch-inf)"
MICROWAVE WHIRLPOOL WMH31017HS2 Unit drawing 16.3 to 16.9 amps during operation outlet 122.8 they have 15 amp breaker which has not tripped at this time for them or myself. Electrical requirements states can use 15 or 20 amp breaker called Techline whom advised to check other units to see if they draw same went to 2 other units which had same amp draw on high with light and blower on high 16.9. Was told if not tripping breaker unit is working properly at this point and no parts needed SR#7724461723. WASHER WHIRLPOOL WORE OFF Installed new sensor and ran through diagnostics. Unit went though diagnostics and heater is working correctly with no issues. All checks out ok.
DRYER MAYTAG MEDB850YW1 "Unit not making noise at this time but likely has a failing idler assembly per customers description, ordering idler assembly to replace, return 4/2 to install. Part ships to customer. Quoted 85.90 labor to install. ; ordrng 1 WPW10547292 (pulley-idr)"
REFRIGERATOR WHIRLPOOL WRT318FZDW02 "Temps too low, even on warmest setting, ordering new control to replace. ; ordrng 1 PARTTOTECH and 1 W11085365 (cntrl-elec)"
REFRIGERATOR KITCHENAID KFIS29BBMS00 "Defrosted all ice buildup on the evaporator. Installed new EVAP cover, trimmed the styrofoam on the damper assembly to allow the left side of cover to pull in tightly, replace thermistors and attached defrost thermistor with zip ties, added top screws on EVAP cover. All checks out ok and cover pulled in tightly." TRASH COMPACTOR WHIRLPOOL KUCS02FRPA1 "Spring control on the lower toe panel is broken so the momentary switch is stuck closed. Will need new switch kit to fix the issue. Customer has paid in full. Just has to take kid to school at 9am. ; ordrng 1 W10342596 (switch-off), used 1 Ship (Shipping/Handling) from stock"
DISHWASHER WHIRLPOOL WDT750SAHW0 Installed new sump assembly in the unit. Ran through diagnostic test and all checks ok and is working correctly with no leaks. DISHWASHER WHIRLPOOL WDT710PAYM6 "Unit is getting a surge over the lower lip seal on the door. This means one of the spray arms is cracked or warped so it’s spraying right at the door seal. Replacing both arms will be sure to solve the problem. Ship arms to customer and he will install them. ; ordrng 1 WPW10491331 (arm-spray) and 1 WPW10498900 (arm-spray), used 1 Ship (Shipping/Handling) from stock"
REFRIGERATOR KITCHENAID KRFC704FPS00 "Water and ice under drawer assembly, pulled out drawer assembly half way and removed as much ice/water as possible. Water does not appear to be coming from evaporator drain area. Possible leaking from filter head/filter, removed and reseated filter. Advised customer to monitor. If water/ice build up returns will need to order and replace filter head assembly." WASHER WHIRLPOOL n/a "Install sensor temperature ran diagnostics ran thr fine, no model and serial, took model from her sales paper..instruct customer about use of soap and cleaning washer monthly.."
REFRIGERATOR WHIRLPOOL WRF535SWHZ01 "Tape flapping around behind unit, removed shipping tape and labels, should no longer make the clicking noise." DISHWASHER KITCHENAID KDTE704DSS0 "owi sensor leaking corroded wire harness, vent fan corroded and barrier cracked will need listed parts plus shipping tax 106.65 labor 97.95 diag = 442.37 total.Customer going to think about repair and get back to us paying 97.95 today.W10861608 98.71 harnessWPW10705575 25.56 owi W11129405 16.60 barrierWPW10469574 68.26 vent"
OVEN KITCHEN-AID KEBS109BSS00 "Installed new thermal fuse in line with the board to restore power to the control. Tested cooling fan and convection fan due to vibration complaint. Found convection fan was causing vibration noise. Added washer to fan which was called for on the bulletin. Also tightened mounting screw for convection fan which was loose. All checks out ok and is working correctly once again. Customer paid in full for repair. ; ordrng 1 W10758272 (fan-convct), used 1 Ship (Shipping/Handling), and 1 WPW10545255 (THERMAL FUSE) from stock"
REFRIGERATOR WHIRLPOOL WRF954CIHZ00 "Installed new ice maker, tested operations through diagnostics, all check ok at this time. Getting water in test, allow 24 hours for ice bin to start filling." WALLOVEN COMBO KITCHENAID KOCE507ESS05 Installed new inner door on micro to replace the one which was cracked. All checks ok and is working correctly. OVEN KITCHEN-AID KEBS109BSS00 Installed new convection fan blade and verified repair with a 325 convection bake. All checks ok and unit achieved preheat with no abnormal noises or issues. DISHWASHER KITCHEN AID KUDS30FXPA9 Before arriving customer had removed lower rack and found a spoon below the float switch. Ran unit through a diagnostic test and all checks ok and is working correctly with no issues.